A record number of 8305 trade visitors – an increase of 35% and 232 exhibitors from 21 countries – an increase of 77% from last edition witnessed the three-day mega event, with pavilions from European Union, Poland, Republic of Korea, Turkey, USA, State pavilions and a special pavilion by DIPP. 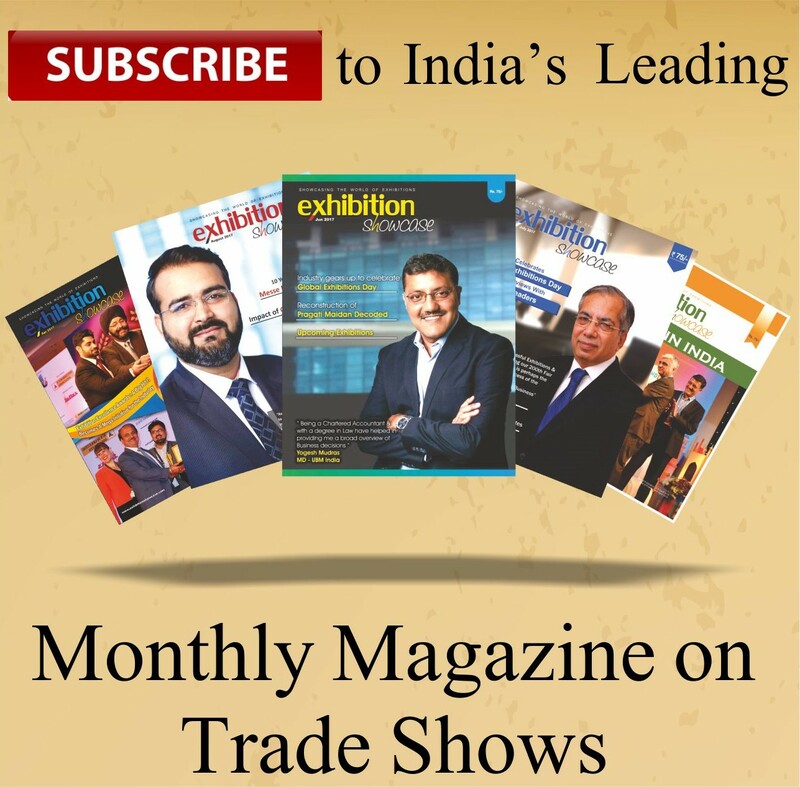 The 12tth edition of Annapoorna World of Food India – International Exhibition for food and beverage trade has once again proved its mettle as a benchmark trade fair for Food and Beverage retail industry in the Indian Subcontinent. This unique B2B platform was organized during Sep. 14 – 16, 2017 at Hall no. 5, Bombay Exhibition Center, Mumbai. Grand Inauguration of Annapoorna World of Food India 2017 on 14th September was done by Hon’ble Minister of Food Processing Industries, Ms. Harsimrat Kaur Badal in the gracious presence of His Excellency Mr. Tomasz Kozlowski, European Union, Ambassador to India, Mr. Rashesh Shah, Senior Vice President, Federation of Indian Chambers of Commerce and Industry (FICCI) & CEO, Edelweiss Group, Shri Chhagan Lal Mundra, Chairman, Chhattisgarh State Industrial Development Corporation (CSIDC), Mr. Kumar Rajagopalan, CEO, Retailers Association of India (RAI) and Mr. Ashwani Pande, Managing Director, Koelnmesse YA Tradefair Pvt. Ltd. In her inaugural speech, Ms. Harsimrat Kaur Badal mentioned that in the current date as part of the Government initiative Nine mega Food Parks have already opened and three more will be operating shortly. Government has offered Rs 50 crores to mega Food Park. Annapoorna World of Food India has witnessed not only the trade visitors from various industry sectors of food and food retail sector from India, but also the presence of delegations from Ukraine, Argentina and Maldives highlight the importance of Indian Food trade and the importance of Annapoorna World of Food India for the growth and development of Indian Food industry. Special highlights of Annapoorna World of Food India include second time pavilion by European Union where in food and beverage producers from 22 companies from 11-member states of the European Union were present to encourage a wider distribution of European products in the Indian market and inspire Indian consumers to add EU flavours to the Indian culinary tradition. Korea Agro-Fisheries & Food Trade Organization has for the 5th time organized a pavilion with food and beverage manufacturers from Korea. 18 companies from Korea displayed their products ranging from fruit teas, frozen food, chocolates, beverages, super foods, health supplements etc. This has been one of the largest Korean representation in any food and beverage trade fair in India. Poland pavilion organized by National Support Centre for Agriculture presented its regional food & beverages such as Apples, vegetables, Jams, cheese, dairy products, ready meals etc. for the Indian food retail industry. For the very first time, Annapoorna World of Food India 2017 witnessed the participation of the Turkish Pavilion. 11 companies from Turkey displayed their products ranging from Apricots, Juices, Olives, Olive Oil, Oregano, Sauces, Vinegar etc. The exhibition also had sizable presence of USA pavilion endorsed by USDA, which had products such as snacks, cookies, spreads, nutritional bars amongst others. Besides international pavilions, Ministry of Food Processing Industries, Indian states Viz., Chhattisgarh, Gujarat, Jharkhand, Maharashtra, Odisha and Kerala organized pavilions showcasing their investible projects in the Food Sector amongst the International delegates & investors and providing small and medium food and beverage manufacturers as part of their pavilion new business opportunities in the trade fair. Department of Industrial Policy & Promotion (DIPP), Ministry of Commerce, Government of India for the very first time organized pavilion with the theme “Jewels of India, Made in India, Made for World” was an attraction to the trade show wherein 50 Food Related Geographical indication’s from across the nation. Live demonstration area received a very good response where the visitors witnessed the culinary skills of highly reputed celebrity chef- Anupa Das from Food Food Channel along with other celebrity chefs, which created quite a buzz in the trade fair. The Concurrent Conference organised by FICCI on “Food Regulations and Growing Opportunities in Indian Food Processing Industry” was addressed by Mr. Prabodh Halde, Regulatory Head, Marico Pvt Ltd, Mr. Ashwin Bhadri, Chief Executive Officer, Equinox Labs, Mr. M Beena, Managing Director, KSIDC, Mr. Sunil Mishra, Managing Director, CSIDC, Mr. Vikram Kumar, Joint Chief Executive Officer, MSIDC. All the speakers has emphasised on the need of the hour to improve on Indian Food Processing industry particularly three main principle of scientific, safety, assessment and risk analysis. Along with the trade fair and conferences, a high profile CEO Round table conference on the topic, Glocalization: Changing face of Indian Food Industry was also organised on 15th September 2017, in association with Retailers Association of India (RAI). Panellists for the Round Table conference include, Mr. Damodar Mall, CEO, Reliance Retail Ltd., Mr. Harpal Singh Sokhi, Celebrity Chef, Mr. K RadhaKrishnan, Co-Founder, Grocermax, Mr. Ramesh Menon, CEO, Hypercity Retail (India) Ltd., Mr. Sadashiv Nayak, CEO, Big Bazar, Mr. Shitij Agarwal, CEO, Sahyadri Agro Retails Ltd.
Concurrent to the exhibition for the first time, Annapoorna Food Retail Awards were organized in association with Retailers Association of India (RAI), to recognize companies & individuals for their exemplary contribution to the Indian Retail Industry. Food CEO of the Year: Mr. Damodar Mall, Reliance Retail Ltd. The next edition Annapoorna World of Food India will be rebranded as ANUFOOD ANNAPOORNA to synchronize with the world’s No.1 trade fair for the food & beverage industry- ANUGA and is scheduled to be organized during September 27 – 29, 2018 along with ANUTEC- International FoodTec India, ANUTEC- Ingredients India, PackEx India and Food Logistics India. ANUFOOD ANNAPOORNA, is an exhibition jointly organised by Koelnmesse YA Tradefair Pvt Ltd and FICCI. Koelnmesse is world’s leading trade fair organiser for Food and allied industries and FICCI is India’s largest and oldest apex business organisation. Both the organisations joined respective forces in 2004 to create a world-class platform for the Food and Beverage retail trade in India.